Alaska Senator Lisa Murkowski has spent decades seeking oil. Specifically, oil that lies beneath the tundra of the Arctic National Wildlife Refuge (ANWR). With this week’s passage of a GOP tax bill containing a provision to open ANWR to drilling, she’s finally achieving her goal. But you know what else Murkowski wants to do? Study climate change. On Tuesday, Murkowski’s office announced that the Senator was co-sponsoring a bill that would direct the National Oceanic and Atmospheric Administration to assess the vulnerability of coastal communities to ocean acidification. The Coastal Communities Ocean Acidification Act of 2017 was a bi-partisan effort, crafted in concert with Senators Maria Cantwell (D-WA), Susan Collins (R-ME), Gary Peters (D-MI), and Sheldon Whitehouse (D-RI). A version of the same bill was introduced to the House in May. There’s no indication of when the bill might get a vote in either chamber. 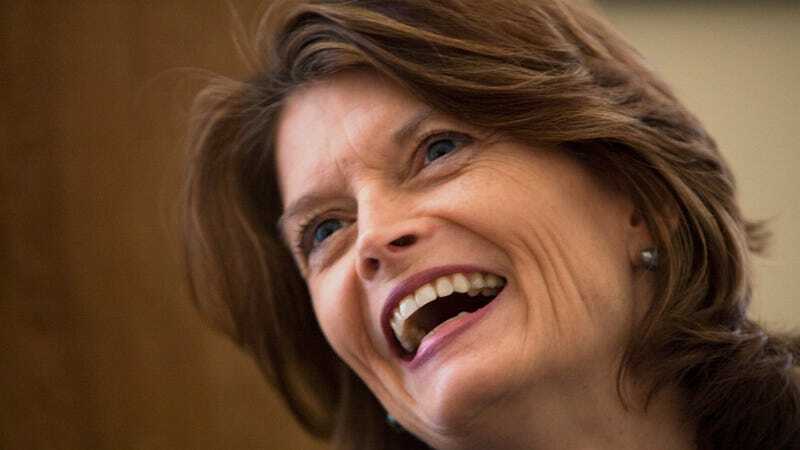 For Murkowski, toeing the line between industry and the environment is nothing new. In stark contrast many of her GOP colleagues, the Republican Senator routinely acknowledges that climate change is real and a threat. At the same time, she has pushed for more offshore and onshore drilling throughout the state, and championed exports of natural gas and crude oil. But in a year when “both sides” has become our internet meme stand-in for humanity’s rapidly-decaying ability to form a consensus reality, Murkowski’s pivot to ocean acidification—the very same week that her dreams of sucking black gold from America’s largest wildlife refuge received a Congressional stamp of approval—feels a bit on the nose. There’s no doubt acidification could hurt Alaska’s multi-billion dollar fishing industry, particularly communities depending on shellfish. As carbon dioxide dissolves in seawater, it increases the concentration of hydrogen ions, which causes the water to become more acidic, which causes the concentration of carbonate to go down. Seeing corals and shellfish use carbonate to built their exoskeletons, less carbonate kicking around is bad news for these animals and the ecosystems they support. Since the Industrial Revolution began, the surface oceans have become 30 percent more acidic according to NOAA. That’s already causing some coral reefs to dissolve, and the problem is poised to get a lot worse. Studying the impacts of ocean acidification so that coastal communities can prepare for the future is a smart thing to do. But we already know what causes ocean acidification. It’s caused by humans burning fossil fuels; a direct consequence of humans pulling fossil fuels out of the ground. And there’s a lot of oil in that wildlife refuge Murkowski has fought tooth and nail to see opened for business. Murkowski either has trouble seeing the irony, or doesn’t care. Probably the latter. She’s previously argued that the only way for her state to adapt to climate change is for it to enrich itself through more oil.